Essex Mews is a RIBA 2013 London Regional Award winning project that was constructed on a former back land site, which was characterised by detached and semi-detached Victorian houses. 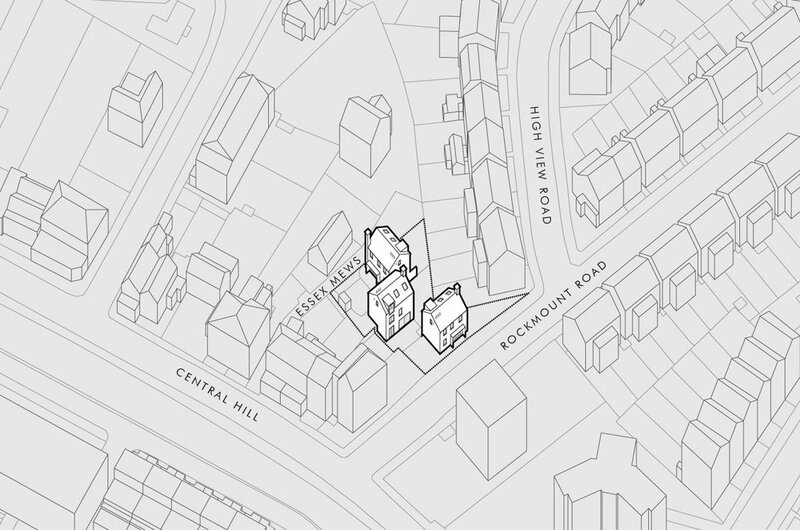 Collaborating with MW architects, the initial plan for mundane chalet bungalows was transformed into 3 detached 2-storey houses in a newly created private mews that incorporates the Solidspace DNA with ‘Eat Live Work’ open social spaces. 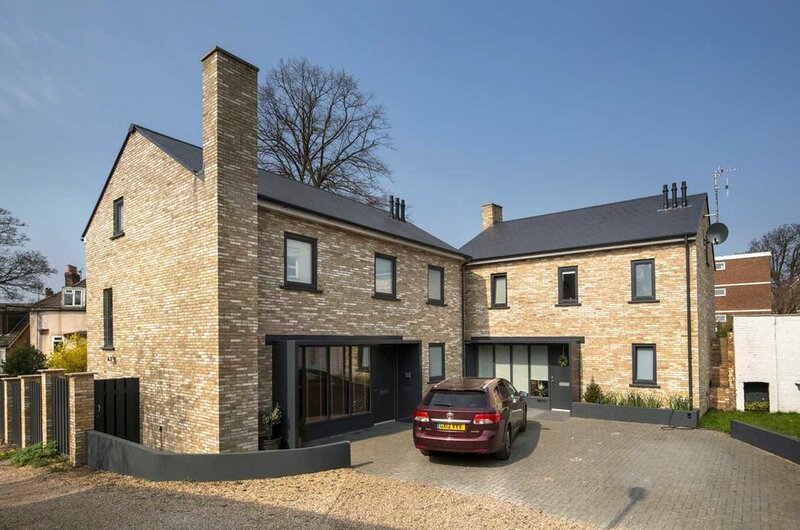 The 3 homes embrace the local language and scale of traditional suburban homes with London stock bricks, pitched roofs and chimney stacks which juxtaposes the split-level interior. 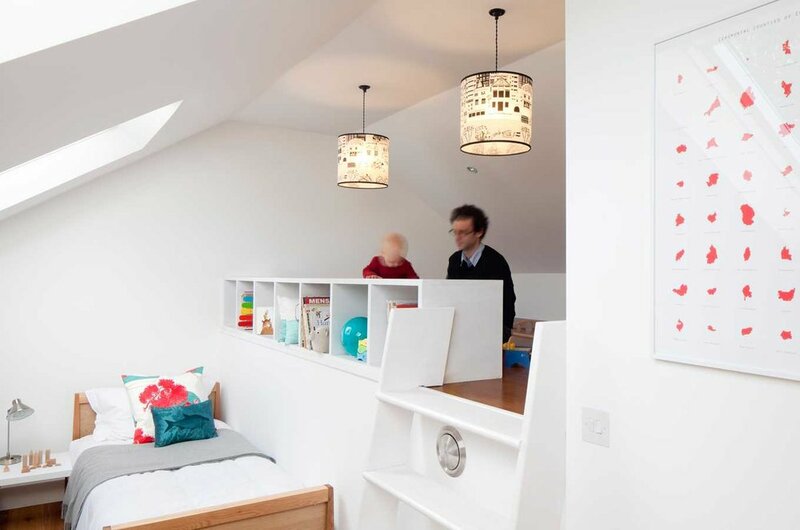 The first floor landing extends to create a workspace which overlooks a double height void above the dining and kitchen space on the lower ground floor. 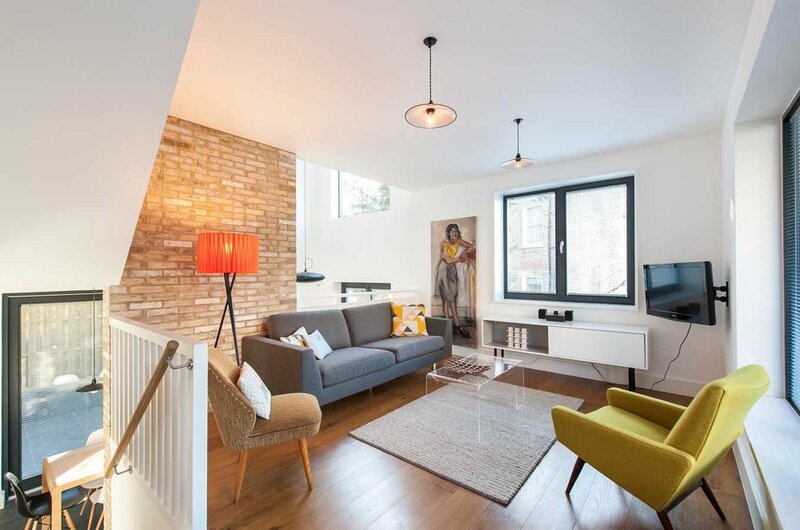 The project has won the Evening Standard New Homes Award 2013 Best Small Development and Blue Ribbon Award 2013 Best Housing Architect of the Year in addition to being shortlisted for the New London Awards 2013. Solidspace is an independent developer, founded by architect Roger Zogolovitch, that produces bespoke, site-specific, and meticulously designed projects. Working on small backland sites, Solidspace unlocks the potential of these spaces, many of which others overlook, to create homes that are customised for the inhabitants yet embrace their locale. All of their developments are driven by light, volume and character, which is why it employs the unique Solidspace DNA, which is their trademark design. The Solidspace concept allows space for living, eating and sleeping over an open series of half levels. It was designed to make full use of both volume and light, which in turn, produces spacious, atmospheric homes that are flooded with natural light by taking out unnecessary walls. 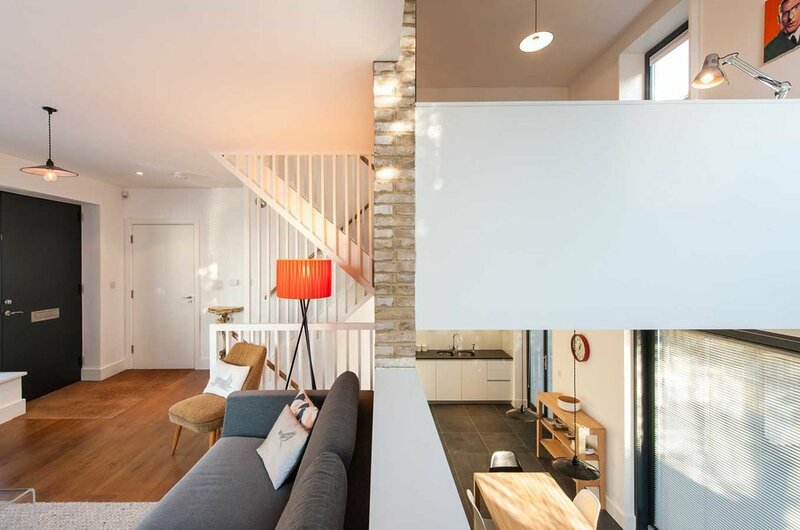 By employing half levels, the stairs double up as corridors, creating a double-height void. Solidspace believes that it is small and medium-sized developments that will make a difference to cities today. They are campaigning for the recognition of independent developments where architects, self-builders and small developers should be given the opportunity and freedom to design creatively. Founded by Matthew Wood in 2009, MW Architects specialises in residential design. The award winning practice is devoted to improving the lives of people through good design. The team take on a fresh approach by prioritising the quality of space and natural light, which ensures efficient use of the client’s budget. To surpass their clients’ expectations, their substantial network of construction professionals share a positive and determined ‘can do’ approach. Shortlisted for the New London Awards 2014. Shortlisted for the Brick Awards 2014. "We'd been living in a ground floor flat a third of the size so to move here was a dream come true. The house is well designed with quality fittings, excellent light levels and lots of storage space." "The Solidspace houses are great and we are already fantasizing about living in one."